Moonrise Kingdom: Oscar nomination for Best Picture? Why it might happen. 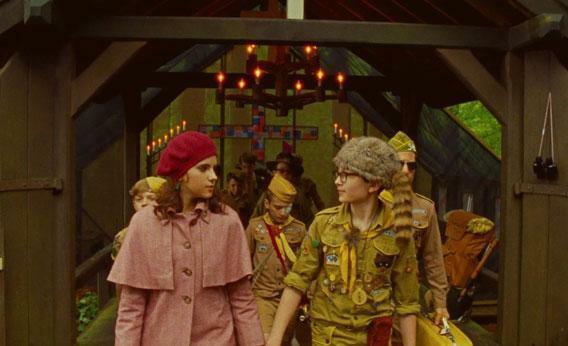 Can Moonrise Kingdom Get a Best Picture Nod? Wes Anderson may be a critics’ darling, but he’s never been an Academy darling. His seven feature films have a grand total of two Oscar nominations: best original screenplay for The Royal Tenenbaums (it lost to Gosford Park) and best animated feature for Fantastic Mr. Fox (it lost to Up). Will Moonrise Kingdom fare better—and maybe even earn Anderson his first best picture nod? There was a time when that looked likely. After great reviews and record-breaking per-screen box office in its opening weekend (when it played at just a handful of theaters), the movie appeared destined to surpass The Royal Tenenbaums as Anderson’s biggest commercial success and thus, perhaps, grab the attention of Academy voters. But as the movie expanded into wider release it did not perform quite as well as expected. Its final box office tally fell far short of what Tenenbaums did, and as the fall has progressed, it has become something of an afterthought in all the burbling Oscar chatter. So for the moment, at least, Anderson’s Oscar chances look better than ever. If you’re happy about this, we know at least one way you can celebrate. Is Moonrise Kingdom Wes Anderson’s Peanuts Special?